In 2015, Andrew and Rei had just gotten married and were looking for a couple’s activity. 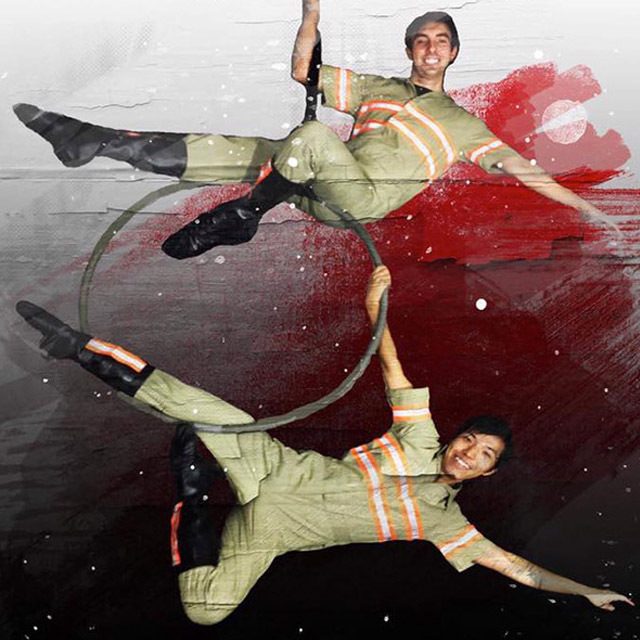 They began training in circus arts together at The Aerial Classroom and have been practicing together as a duo lyra act ever since. 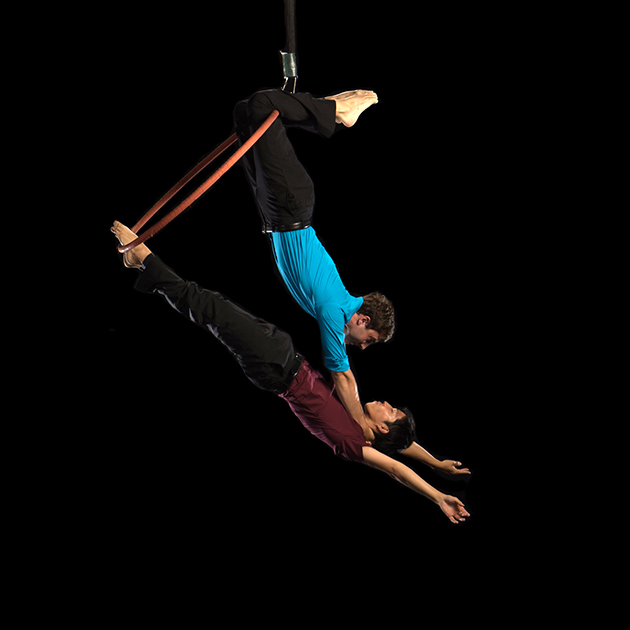 Both Andrew and Rei have physically active backgrounds that contribute to their aerial performance style. Rei started taking dance when he was 16 and was training to be a dancer at Tokyo Disneyland. He has studied ballet, modern, theatrical, and jazz dance and has performed in many shows and events in Japan. After years in the dance world, Rei wanted to try something new. As he loved watching circus acts, he decided to start taking classes and trained for several years in aerial hoop, silks, and trapeze. Andrew has always been into fitness. From a young age, he played tennis, was on the swim team, and did crew in high school. During college, he trained for the Long Beach marathon while taking Tae Bo with Billy Blanks. 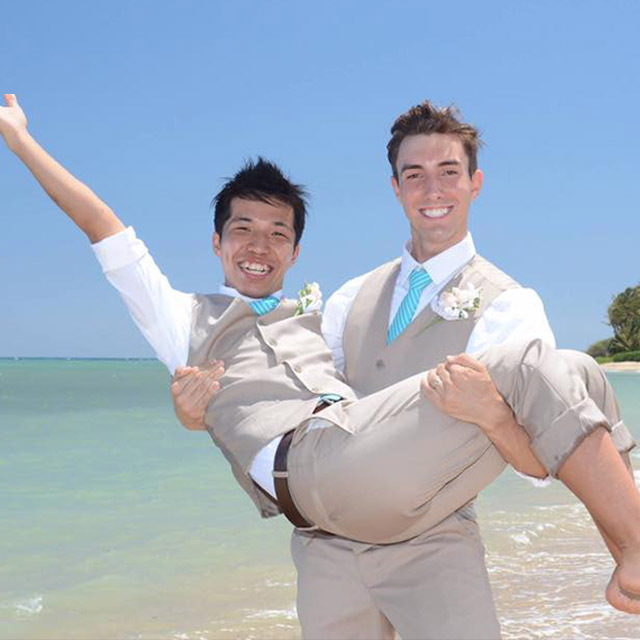 Recently, he’s taken up CrossFit at his company’s gym and can deadlift over 300 pounds. 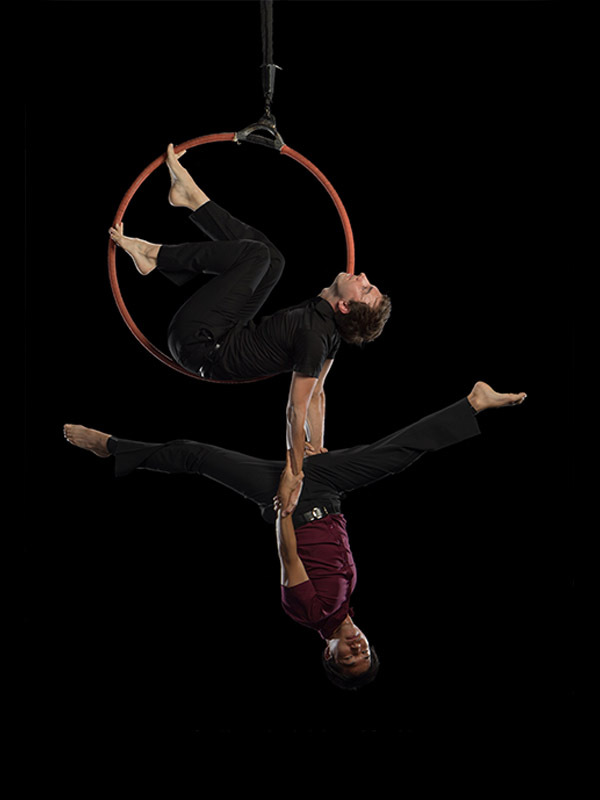 Andrew was inspired watching Rei perform, which sparked the idea for them to begin circus training and performing together. Both Andrew and Rei enjoy creative careers. Andrew is a brand manager for a marketing agency, and Rei is an art director for a design and production entertainment firm. 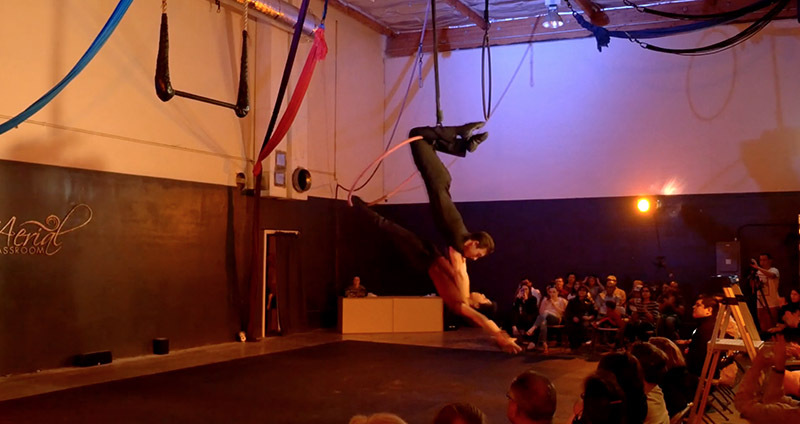 Established in 2005, The Aerial Classroom is one of the oldest and most reputable circus arts training facilities in Los Angeles. Many of our students have gone on to performance careers. We’ve also been featured on a number of news programs and television shows, such as CBS News, Good Morning America, Keeping Up with the Kardashians, Bad Girls Club, Little Women LA, and more. Visit us at TheAerialClassroom.com.